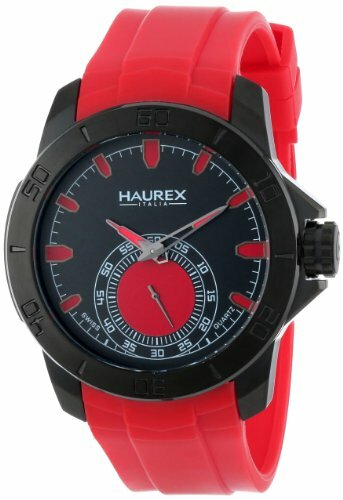 Haurex Italy Men's 3N503URR Acros Black Ion-Plated Coated Stainless Steel Red Rubber Strap Watch by Haurex at MZ Italia. MPN: 3N503URR. Hurry! Limited time offer. Offer valid only while supplies last.